Microsoft caught us all off guard with a 2017 announcement of an unlikely union between the company’s veteran virtual assistant and its Amazon-developed arch-rival. Roughly a year later, the surprising partnership materialized when Cortana and Alexa became integrated, and now CEO Satya Nadella tells Business Insider (via MSPowerUser) that Microsoft is also considering a collaboration with Google in the increasingly competitive AI field. Instead of (weakly) trying to keep up with the astounding growth rate of the 2016-launched Google Assistant, Microsoft is essentially throwing in the towel, aiming to turn Cortana into a “valuable skill” for the competition. That way, Google and Amazon’s voice assistants can benefit from Cortana’s capabilities, getting even better at what they do, with a (presumably small) piece of the resulting revenue going to Microsoft. 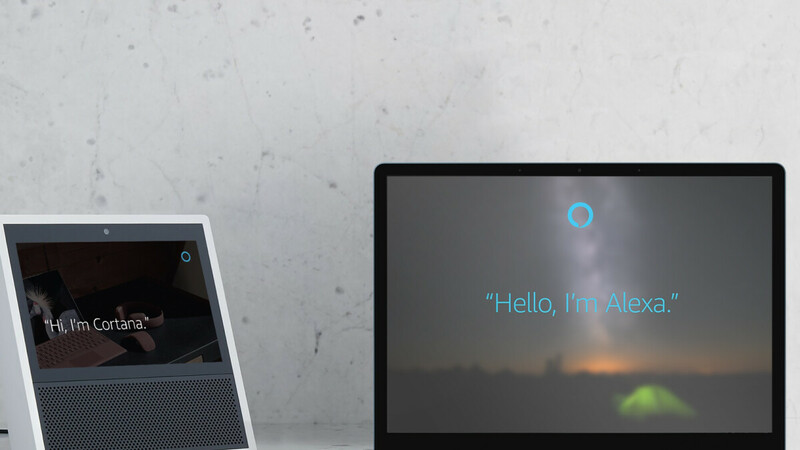 Sounds like a win-win scenario, although it’s not immediately apparent exactly what Cortana can do better than Alexa and Google Assistant. Especially when compared to the latter, Microsoft’s digital assistant has been routinely trailing in precision across categories as diverse as navigation, information, local queries, commerce, and general voice commands in comprehensive IQ tests. It’s also not clear at the moment what Google thinks of this public invitation at cooperation. It would certainly not be a first, as Microsoft’s productivity-focused apps and services have grown more popular on Android devices in recent years, following the demise of Windows Mobile and Redmond’s growing reluctance to start selling its own phones again. When it comes to smart speakers, Satya Nadella reiterated one of his company’s long-standing objectives, suggesting that’s a product category where Microsoft is simply not capable of doing “something unique.” Thus, instead of encouraging repetition and mediocrity, it’s better to join those the company cannot beat. Cortana has windows 10 integration. Definitely wouldn't hurt to add those OS control features to Google Assistant. Microsoft’s speech and text prediction has always been superior. Maybe now Android and iOS can have SMS read out loud via bluetooth, that’s something I always enjoyed on Windows phones. Samsung needs to kill of Bixby too! When are manufacturers going to realize that there simply is not enough room for a few “extra” mediocre players in an ultra-competitive space like AI. When you are up against the market leader like Amazon, you need to do what Google has done, pour billions of dollars into catching up and hope it works, but before you even do that, you have to have the ubiquity of Google. Despite their large size, Microsoft and Samsung do not have this. For Google, this seems to have worked, Amazon pioneered the category with Alexa and Google is doing amazing things with it and by all accounts, it’s capabilities are far superior than Amazon’s. There are countless examples of half-baked products that have been abandoned after billions were spent trying to chase a false dream. There are very few players who can compete in this space... in fact, I can’t think of anyone else at the moment.